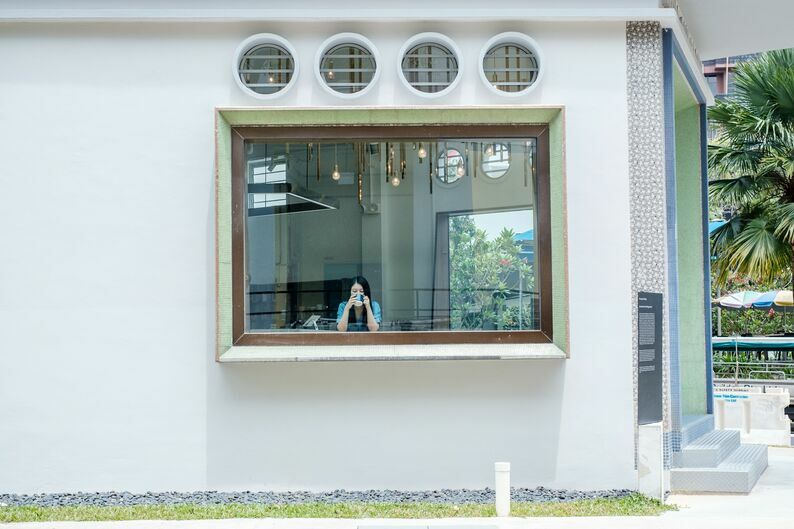 The first floor of the refurbished Khong Guan Building that won itself the 2018 Award for Restoration and Innovation from The Architectural Heritage Award (AHA) houses the Alchemist, an established name in the local café scene that has seen successful takeaway stores in the Central Business District in Singapore. 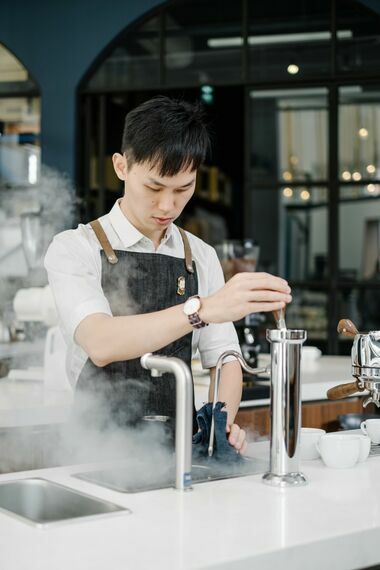 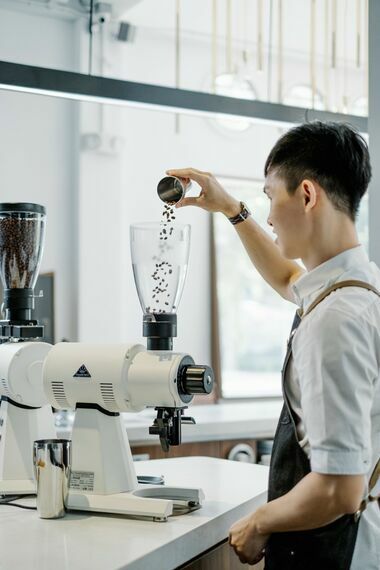 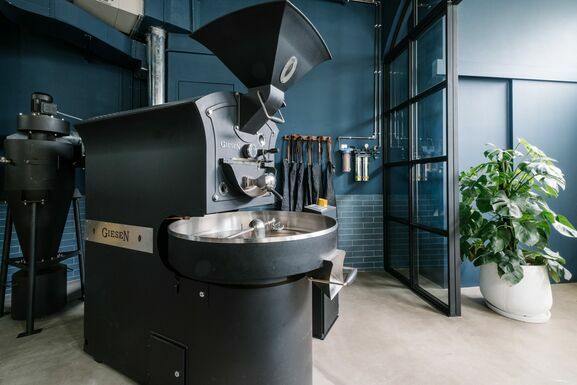 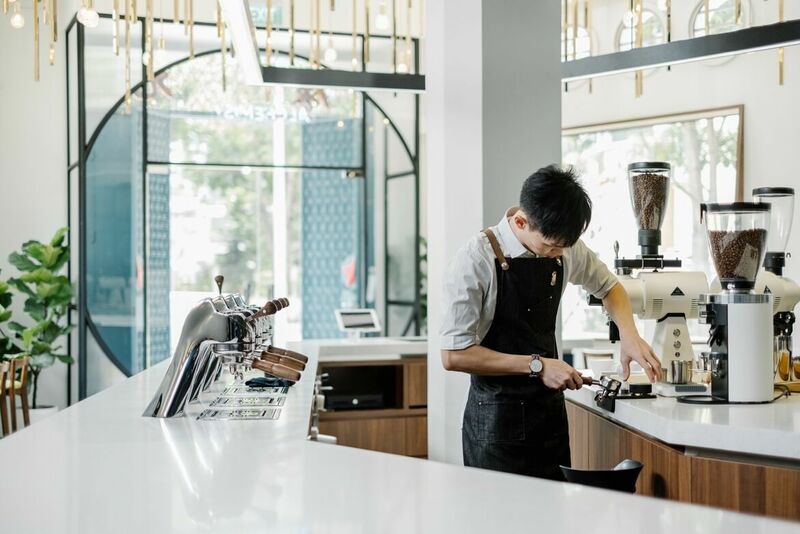 Their new flagship store marks their first foray into a brick-and-mortar café that includes an in-house roastery, as well as dine-in tables and chairs. 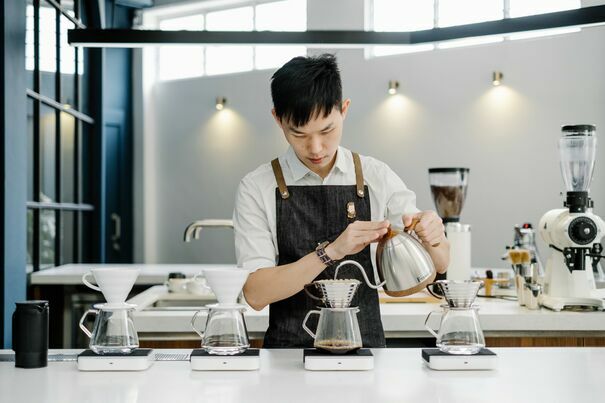 Many of their coffee outposts are designed to be “simple and without frills”, with all emphasis being placed on their coffee. 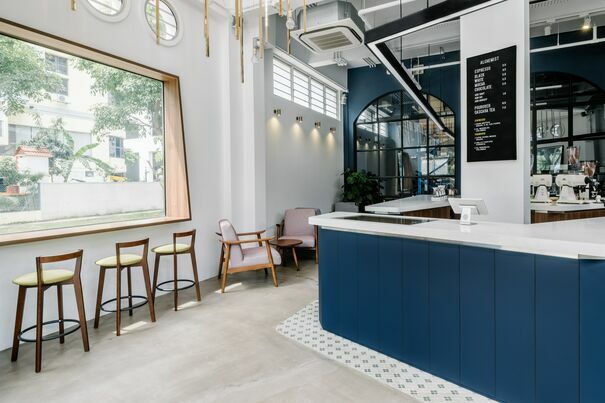 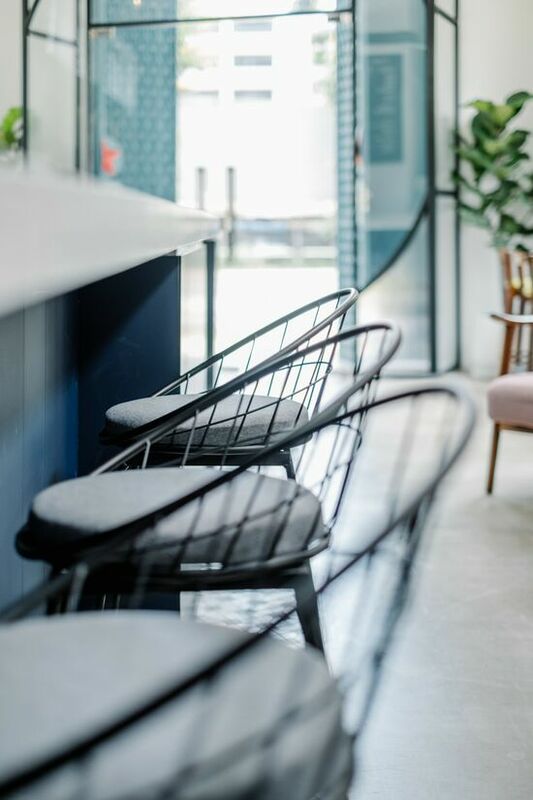 The design of their flagship echoes this same motto with its modern and fuss-free ornaments while also harking back to the history of the building through the use of Peranakan floor tiles and various 90s-inspired furniture. 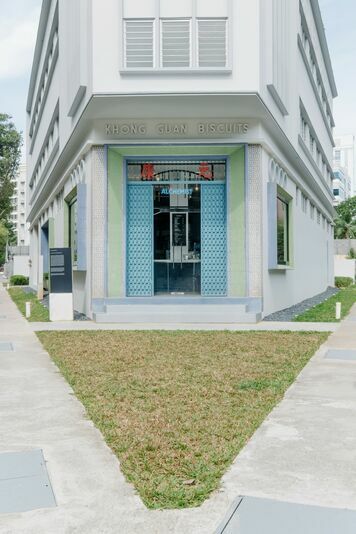 The sky blue doors of the building open to reveal a rounded glass entrance made of both clear and fluted glass for maximum visual effect. 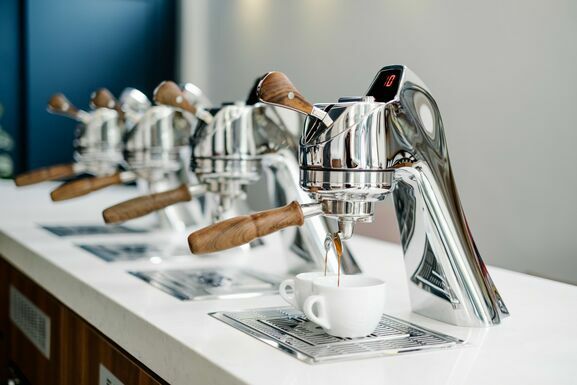 Thereafter, thin gold-plated rod and pendant lights and the rich scent of roasted coffee beans greet you a mere few steps from the entrance where the large coffee bar counter, fashioned after a science lab, is. 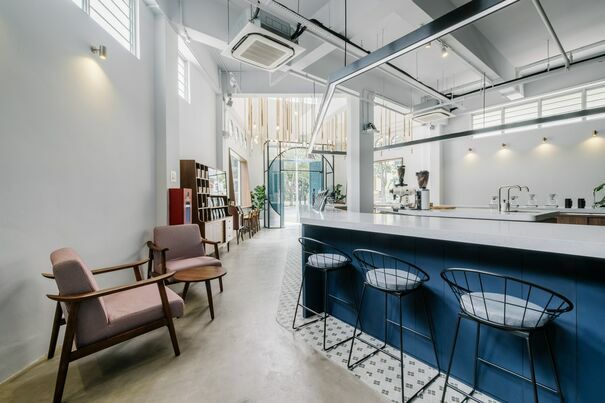 The bar counter is, indubitably, the mainstay of the iconic triangle-shaped unit with its classy white marble surface and chic dark blue counter. 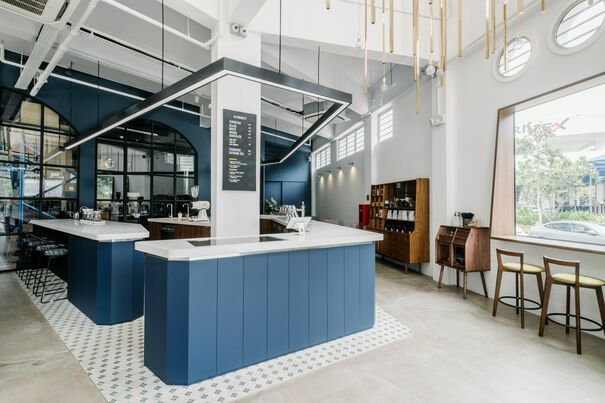 Directly above the counter are black hanging lights that seem to outline the unique shape of the counter, creating further visual impact for the centrepiece of the café. 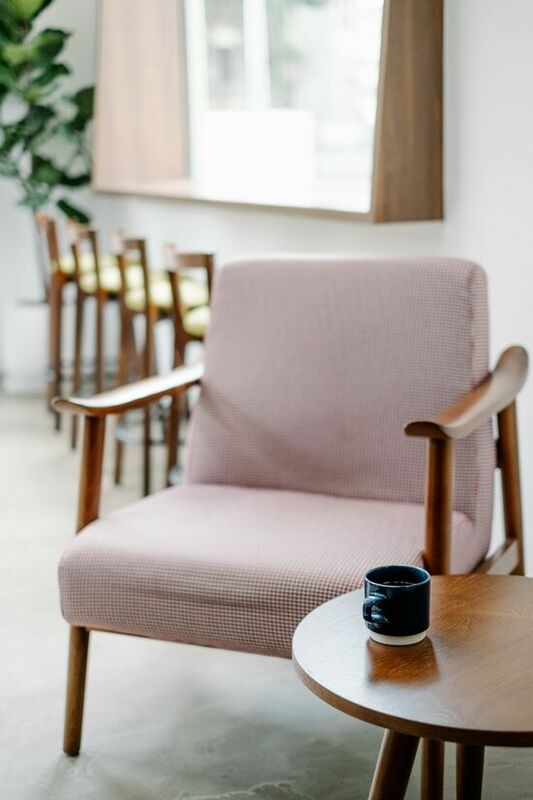 Lining the edges of the room are loose pieces of vintage mid-century furniture that counteracts the contemporary design of the room while large windows that function as both passageways for light and bar counters for customers to rest their weary bodies and their beverages on help illuminate it.